'Gate Night is taking a trip to see Broadway touring musical Chicago! 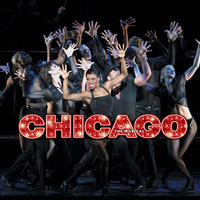 "Chicago has everything that makes Broadway great: a universal tale of fame, fortune and all that jazz; one show-stopping song after another;and the most astonishing dancing you've ever seen. No wonder Chicago has been honored with 6 Tony Awards, 2 Olivier Awards, a Grammy® and thousands of standing ovations." Also, be on the look out for our other Spring 2019 trips. We've got a thrilling semester of trips planned! Our itinary includes: The Great New York State Winter Fair, RPM Raceway Go-Karts, Laser Tag at Wonderworks, and Broadway Touring Show: Les Miserables!